On Sale Now! Free Shipping Included! 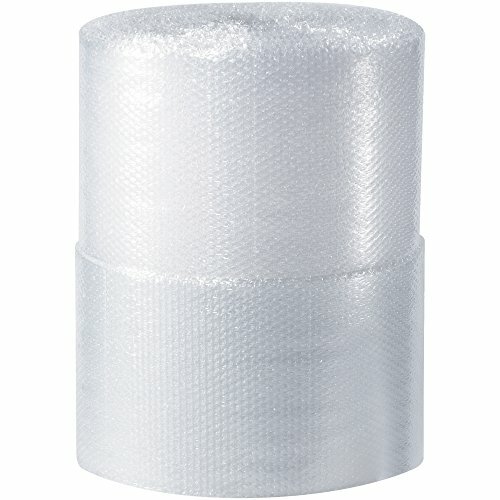 Save 2% on the Tape Logic TLBWUP516S24P UPSable Perforated Air Bubble Rolls, 5/16'' x 24'' x 188', Clear (Pack of 2) by Tape Logic at High IQ Business Network. MPN: TLBWUP516S24P. Hurry! Limited time offer. Offer valid only while supplies last. 5/16 inch x 24 inch x 188' (2) upsable perforated air bubble rolls. Same great bubble protection cross-perforated every 12 inch for easy tear off. 5/16 inch x 24 inch x 188' (2) upsable perforated air bubble rolls. Same great bubble protection cross-perforated every 12 inch for easy tear off. Air bubble makes excellent cushioning and void-fill. Protects against shock, abrasion and vibration. Upsable sized rolls. Sold in 48 inch Master bundles.